Location: ~100kms from Mumbai (map). Timings: Before sunset (This temple is inside deep forest, so ideally must be visited before sunset). 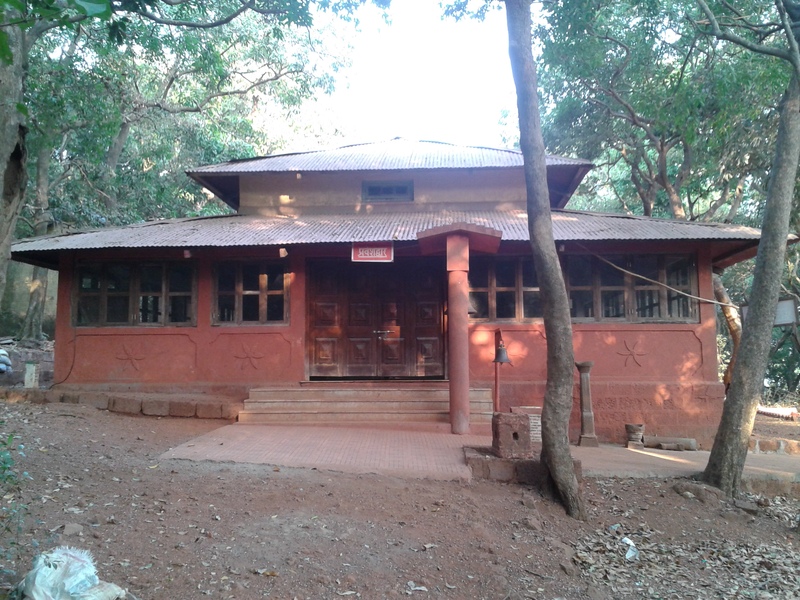 About the Temple: This ancient Śiva temple is located in the beutiful hill-station of Matheran. This temple is the oldest in this area and the diety Piśarnāth is the grāma-devata. The lingam here is swayambhū and appears in an extra-ordinary titled ‘L’ shape and is covered with sindhūr. Many localites have worshipped Piśarnāth ji and have obtained all iha-para saukhyams. This ancient temple is located on the banks of a lake now known as “Charlotte”. The surroundings of the temple are extremely beautiful and secluded. The place is at an altitude of about 2516 feet above sea level. Matheran itself is a very famous hill-station and is an attractive tourist spot.